Is regulation the likely downfall of Bitcoin? Last week at the conference for the Association of Private Enterprise Education, a session included speakers with differing points of view about Bitcoin’s future. One speaker pretty clearly suggested that regulation would be the downfall of Bitcoin. Is that plausible? I interpret regulation as being the setting of rules by administrative agencies which are not courts as commonly understood. The “not courts as commonly understood” here is somewhat convoluted, but many administrative agencies in the United States have branches which resolve disputes in some ways similar to resolution by the judges. With this definition, contract law and other rules applied by courts are not regulation, even though they are very important. Most importantly, there have been few if any court cases alleging fraud in the Bitcoin community. While not rampant, there have been serious frauds. In addition, criminal law is not regulation. For example, theft – taking something of value from a rightful owner — is a crime in most (all?) countries. While there are well known instances of theft – summarized at Wikipedia – nothing much seems to have been done about bringing the thieves to justice. It is quite likely that fraud and thefts will be pursued more seriously than in the past. Bitcoins are worth far more than in the recent past. 400 bitcoins are worth $20 at $.05 per bitcoin and $200,000 at $500 per bitcoin. If someone steals 400 bitcoins when they are $.05 apiece, there is not much point in doing anything about it. Of course, there’s not much monetary gain from stealing them either. On the other hand, when bitcoin are worth $500, stealing 400 bitcoins is no small thing. Similarly, someone defrauded of $20 is not likely to do much about it other than learn from the mistake. $200,000 is quite another matter. It’s hard to imagine that bitcoins will not be subject to much more legal oversight than in the past. This is not the same as regulation. Examples of regulation include the application of specific laws before starting an exchange for digital currencies compared to laws which apply to any other exchange, for example for collectors’ postage stamps. Financial regulations have their own nuances. Before starting a bank in the United States, the backers must show they have the skill and assets to successfully operate a bank. They also must show that there is enough demand for banking services to support existing banks and the new bank. This is far different than opening a new grocery store. Still, this arrangement is better than the situation in many other countries, in which there is no effective way to start a new bank. No doubt there will be attempts to regulate bitcoins along the lines of other financial enterprises. It remains to be seen how effective that regulation will be. For example, if New York state requires a license before someone starts an exchange for digital currency, the only thing affected is the probability that an exchange will start in New York state. It will be zero. If the United States government requires a license before starting an exchange, the only thing affected is the probability that an exchange will start in the United States. It will be zero, although it is not particularly high anyway. It strikes me as implausible that regulation will stifle digital currencies in a serious way. It is too easy to get around the regulations. For example, Satoshi Dice is said to block U.S. addresses. Even if they are blocked, it is not hard to use Tor to have an address apparently outside the United States. Bitcoins probably have the greatest immediate potential in countries such as Argentina, which has serious inflation. Inflation generates revenue from the government at the expense of money holders. Bitcoin is an attractive alternative to Argentinian pesos. While U.S. dollars are attractive also, holding them is illegal and U.S. dollars are harder to conceal than bitcoins. Argentina has dollar-sniffing dogs, but a bitcoin has no smell or other physical presence besides a sequence of numbers and letters. In short, bitcoins are a way to get around regulations. While that may sound nefarious or evil to some, it doesn’t to me. More to the point, it strikes me as a positive for bitcoin’s continued use. This entry was posted in Bitcoin, Private digital currency, Regulation and tagged Bitcoin, private digital currencies, regulation on April 24, 2014 by gpdwyer. On Monday, Mt. Gox announced that the suspension of payments would continue because of a software problem. This will not inspire confidence by Bitcoin newbies. The dollar price of a bitcoin at Mt. Gox fell below $600 on February 11. Long term though, such difficulties and responses are inevitable. Protocols in other contexts have these problems, including theft of information on millions of credit cards. This entry was posted in Bitcoin, Private digital currency and tagged Bitcoin, Mt. Gox, suspension of payments on February 11, 2014 by gpdwyer. Mt. Gox has suspended payments, at least until Monday, February 10. A suspension of payments means that it is not possible to withdraw funds from Mt. Gox. This is not a problem at a small outfit. Mt. 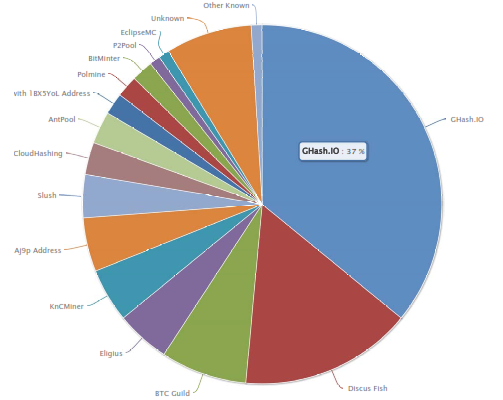 Gox was the by far largest exchange for bitcoins at least until the last few months. Mt. Gox seems to have had difficulties redeeming accounts for some time. The problems started about the same time that the Financial Crimes Enforcement Network in the United States started treating Bitcoin firms as money transmitters and reportedly seized accounts in the United States related to Mt. Gox. It is odd to read a spokesman for the Bitcoin Foundation — Jinyoung Lee Englund — say that the United States has a “smart regulation approach” at the same time this problem occurs. But then again, maybe creating substantial difficulties for firms dealing in bitcoins is smarter than trying to ban them? The Russian government has announced that bitoins are banned in Russia. Trying to ban bitcoins is not particularly bright. It shows a lack of knowledge, imagination or both. Bitcoins can be transferred around the world trivially by parties who completely trust each other. Anyone who has bitcoins in Russia can transfer funds abroad if they have someone they trust outside the country. It is equally easy to make the reverse transaction, bringing bitcoins into the country. Maybe bitcoins would be brought into Russia to sell? An institution such as Mt. Gox is not necessary. This entry was posted in Bitcoin, Private digital currency and tagged Bitcoin, Mt. Gox, supension of payments on February 8, 2014 by gpdwyer. Bitcoin has been much in the news lately. I have written a draft of a paper on “The Economics of Private Digital Currencies”. The paper uses Bitcoin to concretely summarize how private digital currencies work. There are two major innovations associated with recent private digital currencies such as Bitcoin. The first is the settling of transactions by a peer-to-peer network. Instead of settling transactions on the books of a single institution such as the Federal Reserve in the United States, transactions are settled on a network in which no link inherently has more standing than any other link. More concretely, transactions are settled by agreement among participants in the network, for example Bitcoin’s network. The paper goes somewhat into the details without, I hope, becoming tedious for non-programmers. The second innovation is the creation of exchanges in which buyers and sellers of Bitcoins are “end users” – people how hold bitcoins or want to buy bitcoins instead of agents such as brokers – and the trading is computerized without human intervention. This has resulted in 24/7 trading, which is quite different than trading on organized exchanges. It is more similar to Ebay than the New York Stock Exchange. Whether Bitcoin or any other digital currency will exist in a couple of years is an open question. A close examination of Bitcoin reveals no inherent design flaws indicating that it will ultimately fail. The question is whether it will be useful. As with many other innovations, this is hard to tell. The paper is available at http://www.jerrydwyer.com/pdf/digitalcurrency.pdf. This entry was posted in Bitcoin, Private digital currency and tagged Bitcoin, private digital currencies on February 5, 2014 by gpdwyer.